Should You Add CA, Inc. (CA) to Your Portfolio? Insider Monkey has processed numerous 13F filings of hedge funds and famous investors to create an extensive database of hedge fund holdings. The 13F filings show the hedge funds and investors’ positions as of the end of the third quarter. You can find write-ups about an individual hedge fund’s trades on several financial news websites. 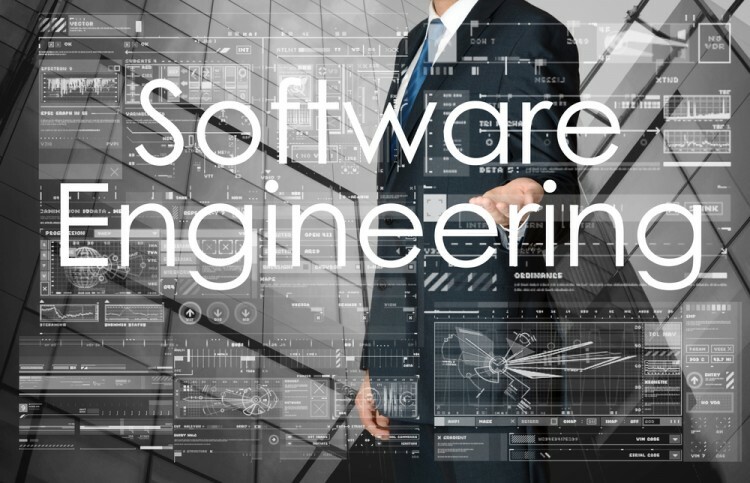 However, in this article we will take a look at their collective moves and analyze what the smart money thinks of CA, Inc. (NASDAQ:CA) based on that data. So, is CA, Inc. (NASDAQ:CA) ready to rally soon? It looks like, the smart money is reducing their bets on the stock, since the number of bullish hedge fund positions retreated by one lately. At the end of this article we will also compare CA to other stocks including Verisk Analytics, Inc. (NASDAQ:VRSK), Potash Corp./Saskatchewan (USA) (NYSE:POT), and SBA Communications Corporation (NASDAQ:SBAC) to get a better sense of its popularity. With all of this in mind, let’s view the key action surrounding CA, Inc. (NASDAQ:CA). 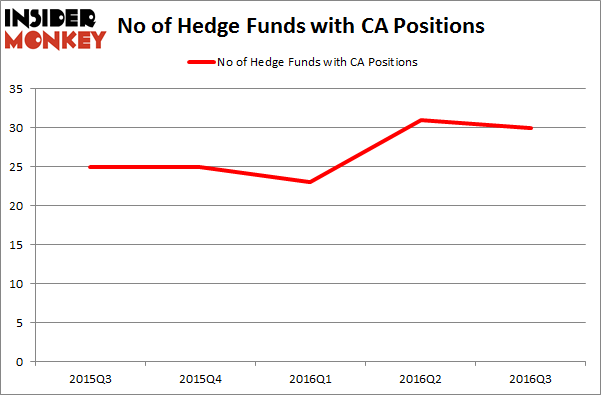 Heading into the fourth quarter of 2016, a total of 30 of the hedge funds tracked by Insider Monkey were bullish on CA, Inc. (NASDAQ:CA), down by 3% from the end of June. With hedgies’ positions undergoing their usual ebb and flow, there exists an “upper tier” of key hedge fund managers who were upping their holdings meaningfully (or already accumulated large positions). According to Insider Monkey’s hedge fund database, Cliff Asness’ AQR Capital Management has the biggest position in CA, Inc. (NASDAQ:CA), worth close to $111.2 million, accounting for 0.2% of its total 13F portfolio. On AQR Capital Management’s heels is Joe Huber’s Huber Capital Management, with a $79.9 million position; 3.1% of its 13F portfolio is allocated to the company. Some other hedge funds and institutional investors that hold long positions include Joel Greenblatt’s Gotham Asset Management, Jim Simons’ Renaissance Technologies, and Anthony Scaramucci’s Skybridge Capital.